In 2017 Yili achieved increased sales and net profit due to the strong growth in its major products. On April 24, China’s dairy giant Yili published its 2017 financial report, attributing its strong results to good performances in liquid dairy, formula and ice cream. According to the report, the sales went up by 12.3% YoY and net profit grew by 5.9% YoY. The positive financial result is mainly due to the success of its three major dairy segments. Hereby, liquid dairy went up 12.6%, infant and adult formula up 17.8%, and ice cream business saw a growth of 9.8%. According to market intelligence firm CCM, Yili is far ahead of its peers in the liquid dairy sector, and its infant formula sales also surpassed those of other domestic infant formula producers and keep rising. The company gave a special mention to its 38.9% rise in infant formula sales via mother & baby stores. It is worth noticing, that Yili is not the only dairy enterprise in China with impressive performance recently. China’s listed dairy companies issued their 2017 financial reports successively in March and April. Besides Yili, other market players like Mengniu and Bright Dairy achieved significant net profit growth, whilst the upstream operators Modern Dairy, Shengmu, and Xinjiang Western Animal Husbandry all ran at serious losses. Inner Mongolia Yili Industrial Group has risen up to the world's largest dairy companies. The company has become the largest dairy enterprise in China, and one of the leaders in Asia. The development shows that China’s once mistrusted dairy industry is constantly developing and gets recognized in worldwide markets. Yili is a provider of dairy products in China's. In 2015, Yili reported a double-digit growth in its operating turnover and net profit. So far, Yilihas opened its first major overseas dairy factory in New Zealand, entered into strategic partnership with Italian dairy company Sterilgarda AlimentiS.p.A., set up the European R&D Center in the Netherlands, the first overseas R&D center of Chinese dairy sector, and carried out comprehensive cooperation with enterprises, universities and research institutes in the United States in multiple fields. Yili produces and sells dairy products in China and internationally. The company offers liquid milk, milk powder, yoghourt, and ice cream, as well as milk tablets, soybean milk powder, and milk tea powder. The company was founded in 1956 and is based in Hohhot, China. On April 12, Yili announced it will market its first energy drink Huanxingyuan, targeting 18– 35-year-old consumers. The product will be sold in the Meiyijia and Hongqi chain stores first. Huanxingyuan is priced at USD0.96 per 250 ml can, the same as RedBull. Currently, RedBull, Eastroc Super Drink and Hi-Tiger are the top 3 energy drinks in China; RedBull accounts for 70%+ of the market, with annual sales stabilising at over USD3.2 billion for the past 3 years. 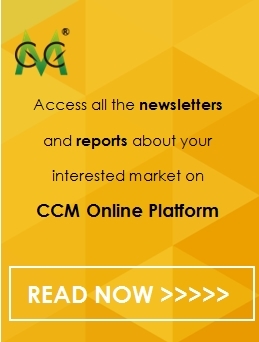 Get regular and exclusive updates in China’s dairy market by subscribing to CCM’s monthly published China Dairy News.